Oh, hello fly xD. See you here is a surprise! 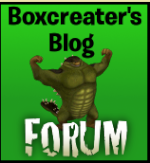 Never mind, welcome to boxcreaters forum. And it's not breaking the rules. Thanks for being understanding Quiz. Im gonna go ahead and let you keep that tittle. but i will do something else so the others dont get confused! Confused?